If you are looking for furnace repair or Air conditioner (AC) repair in the Mississauga, ON area, let First Class Heating & Air be your experts of choice. We have serviced homes in this area for years and pride ourselves on customers coming back to us time and again. Let us show you our commitment to unsurpassed customer service, solid expertise and competitive pricing on your next repair need. Proper heating and cooling of your home is not only important to your comfort, but systems that fall into disrepair can often pose a danger threat. Improper combustion and venting may cause hazardous carbon monoxide buildup. We take your safety and comfort seriously. When you call First Class Heating & Air, we will make a full scale inspection of your systems. Dirty systems not only create health hazards but make your furnace or air conditioner work less effectively and efficiently. Older systems can be chronic problems and constant repair headaches. When you call First Class Heating & Air for any furnace repair or AC repair in Mississauga, we will diagnose your system with state of the art technology to get to the heart of the issue. Often, a heating or cooling system has come to the end of its operational lifespan. A furnace can typically last 15 years whereas an air conditioning system can last 15 to 25 years with proper maintenance. But a system that has not been maintained properly or has not been cleaned can expect a far shorter life expectancy. If your systems are not heating or cooling properly and it has been years since they have been serviced or cleaned, it may just be time for a new, more efficient system. If you are in need of an updated energy efficient system, we can make professional recommendations based on your particular needs. We carry and service all makes and models and will be glad to discuss the pros and cons of each with you. In addition to HVAC repairs and replacements services in Mississauga, we offer scheduled preventive maintenance visits. Maintenance and cleaning of your temperature control systems is key to their longevity. We recommend regular cleaning and maintenance of your furnace and air conditioning system to keep it in top working order and to ensure that your system is running at its most effective and efficient when the weather requires. There is nothing more frustrating than an emergency air conditioning breakdown when the weather is at its hottest or a furnace breakdown in the middle of winter. With HVAC preventive maintenance, chances are that needed repairs can be discovered before they become an emergency. As a homeowner, you know that your temperature control systems are key to your comfort. And they are also big investments. As you would maintain any other large investment such as your home structure or your car, maintaining your heat or cooling systems or making timely repairs is just good sense. Let us be your partner in keeping your investment in your home temperature control systems up and running efficiently. First Class Heating & Air is your one stop HVAC expert. Our technicians are the best in the business and offer years of experience. We realize that you want trusted advice and competitive pricing on repairs and service of your largest investments. We are here to offer that and more. We have served the Mississauga area’s furnace repair and AC repair needs for years with the finest in customer satisfaction rates and years of repeat clients. We want to demonstrate our commitment to your heating and cooling needs, not only when we are there to service your home systems, but long after we leave. 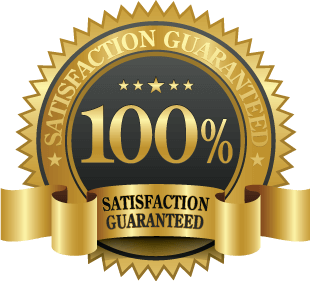 Our service is satisfaction guaranteed and if you have an issue, we are there. Call us today for any air temperature control needs in your home. We promise you will be delighted with our service.